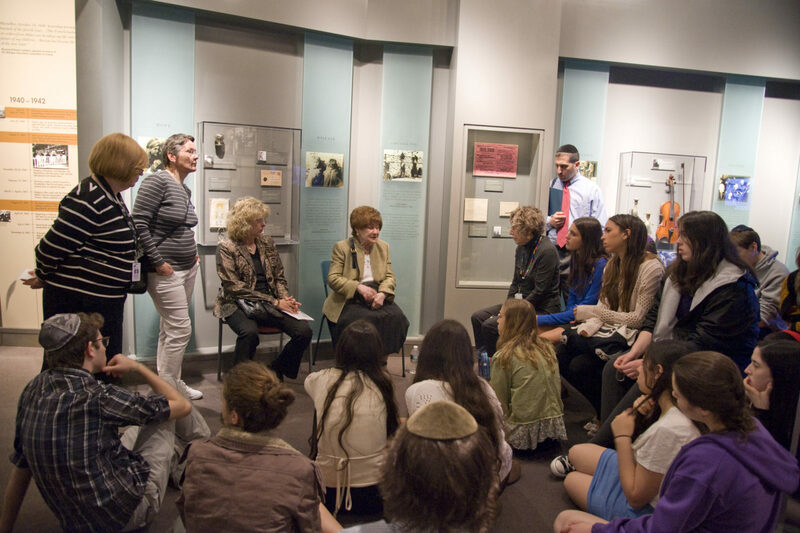 The Speakers Bureau is a group of Holocaust survivors, World War II veterans, teachers, and descendants of survivors who present Holocaust history to groups visiting the Museum and at different venues—from schools and places of worship to nursing homes and community organizations. Speakers are adept at sharing their insights with diverse audiences and contextualizing their own perspectives within the larger narratives of history. They provide experiences that are educational, emotional, and unforgettable. A presentation by a member of the Speakers Bureau may be booked in conjunction with a visit to the Museum or requested as an independent activity at a separate location. To inquire about learning from a member of the Speakers Bureau, contact Joana Arruda at jarruda@mjhnyc.org or 646.437.4205. To discover how you can volunteer for the Speakers Bureau, click here.